Burton Silverman’s work has appeared in New Yorker Magazine “Profiles,” on the covers of Time Magazine, Newsweek and New York magazine. He has designed dozens of postage stamps and is in the Society of Illustrators Hall of Fame. 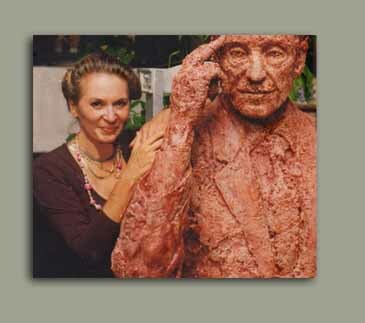 He was awarded the Geismann Memorial Invitation Retrospective Exhibition. His work has been exhibited in numerous shows and exhibitions throughout the country. 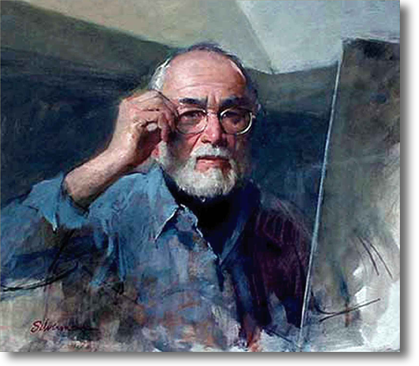 Burton Silverman is a prolific painter and one who is regarded as one of America’s most important realists. “Throughout my painting life, I have often been asked to explain or elaborate on my interest in specific subject matter or whether I preferred one medium above another. While these are not uninteresting questions, and they can yield some insights as to the artist’s passions or obsessions, they miss the point about picture making in a broader sense. What seems more relevant to me is that often there is no single key to understanding the drive toward making a painting. Certainly the art of painting has been a a significant form of human expression and communication from almost the beginning of human social organization. Yet compared to language – and certainly the more abstract language of math and physics – it is rather a primitive communicative mode.